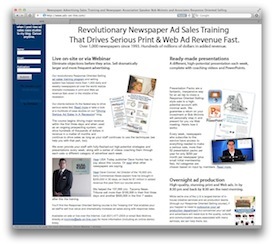 Driving Serious Newspaper Ad Sales: Another 13x contract for a "page killer" ad that killed! Another 13x contract for a "page killer" ad that killed! Ad director Brittney Hamilton has been helping her staff at the Herald-Mail in Hagerstown, MD close a ton of print and Web ad sales since implementing our Response Oriented Selling system over the summer. Brittney is systematically applying this approach to proving response and closing significant sales by helping her staff to identify the highest potential accounts first--those who need to and can run significantly larger and more frequently (but, of course, don't think they can)--and working her way down to smaller accounts from there. 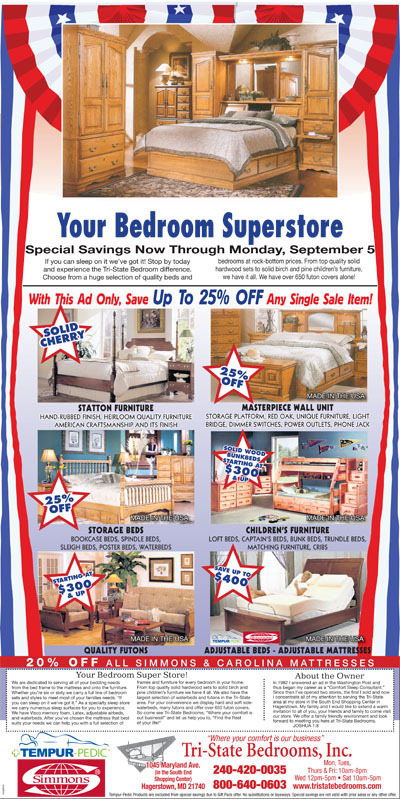 This 5 col x 18" furniture store ad was sold on a 13x contract to an advertiser who was about to drop out of the paper due to budget, cost, and lack of response. They took an advertiser who blamed the recession, lack of budget, that print is dying, and a host of other reasons why they weren't getting a response and couldn't spend the money, and turned them into a huge success story! The newspapers who are focusing not only on delivering response, but proving it upfront are the ones that are thriving in this economy along with their advertisers. Great job Brittney!